Spoil your guests by serving oysters with this easy mignonette topped with bubbly and caviar. 1. Combine the lemon juice, shallots and peppercorns in a small bowl. Let sit in the fridge for about 1 hour to let the flavors marry. 2. Just before serving, add the prosecco to the sauce and season with a pinch of salt. 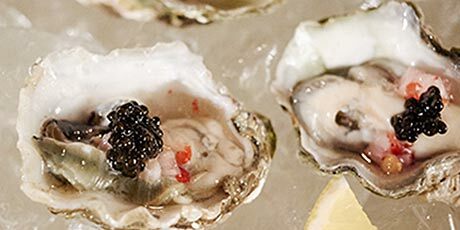 Spoon the desired amount of the mignonette sauce over the oysters and top each with a dollop of caviar. Serve immediately.